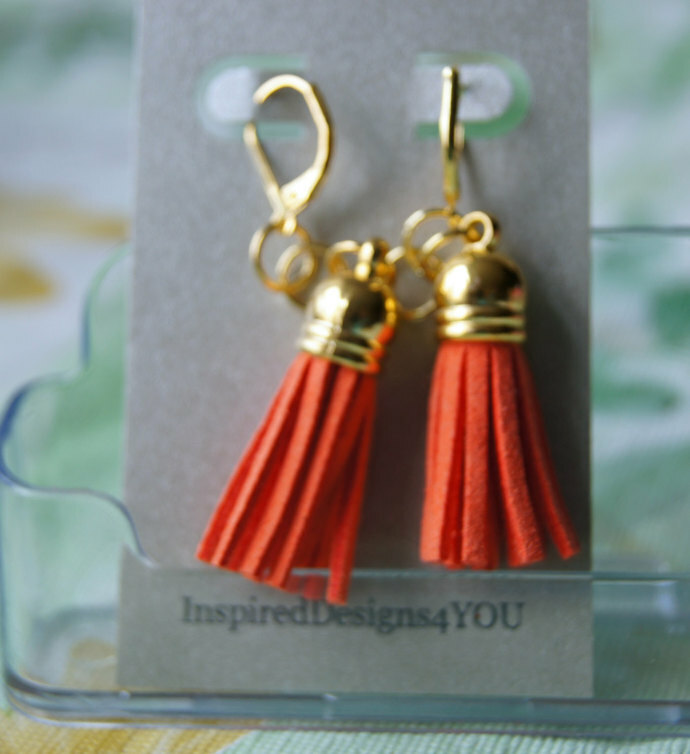 Desert Orange Faux Leather Tassel Earrings with gold metal cap. 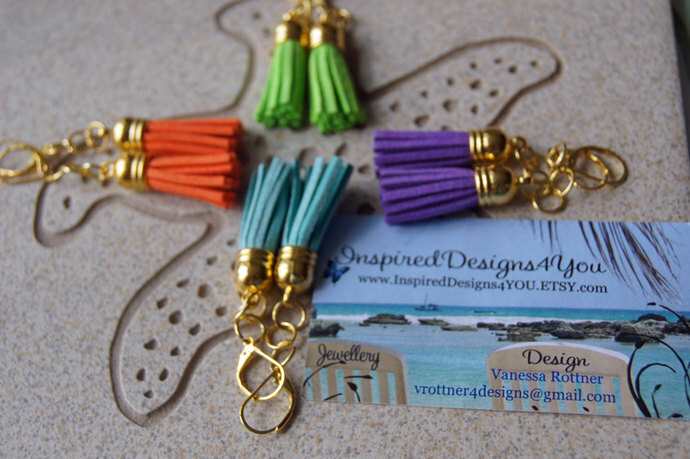 Inspired by Bohemian style - boho, and influences of the Moroccan dessert. Dance and swirl. 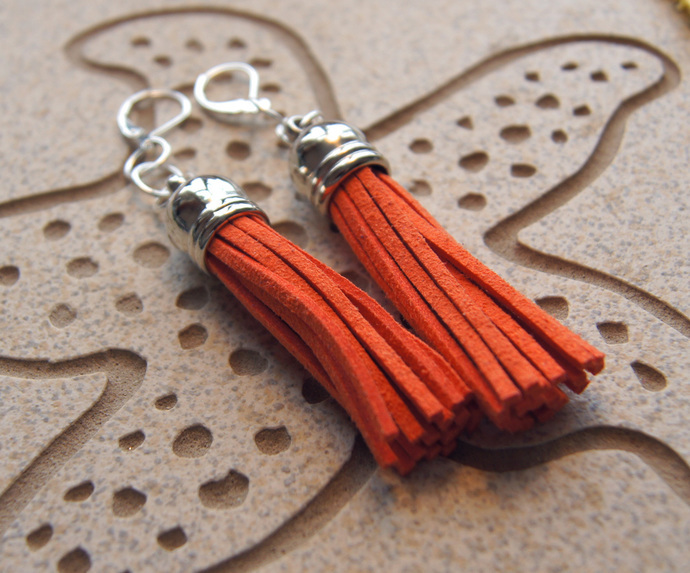 Capture the wind as your earrings sway in the gentle breeze. 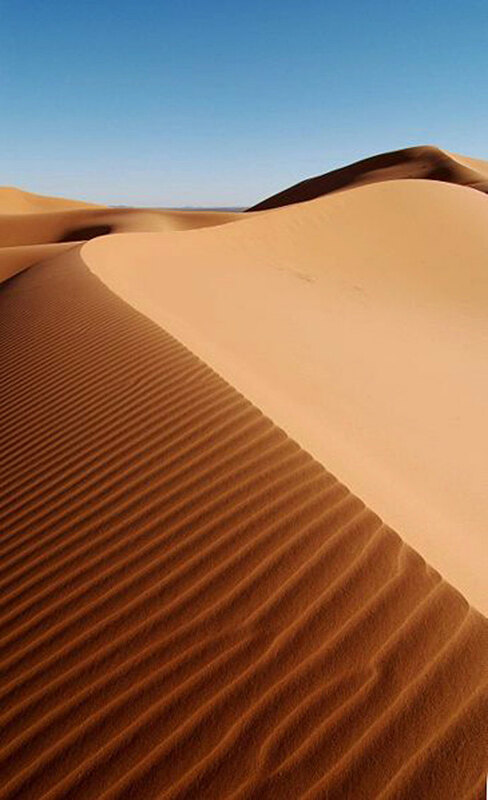 Perhaps your imagination take you to Morocco with vibrant images and colour. The earrings come standard 3 jumps rings, if you want them adjusted please advise me. Hypo-allergenic and nickle free. Total measurement is 2 3/4 in length. Setting: The earrings are on lever-back ear wires findings. Variations: I can make these with 'fish hook/ shepherds hook' or 'clip on style' (these hang and look like pierced earwires only they clip on). For an example see. You will received one pair as shown which will be packaged in my smoke free studio. Combining orders: Yes, we are pleased to combine orders or set up a reserve listing if you choose. Shipping: Shipping to the BOTH Canada and USA is via Express Post. This is to ensure that your items will delivered on time with status updates. Canada Post requires a full and complete address, with a phone/cell number and email address. All information is treated confidentially. For other countries your item will be shipped International Post without tracking. Items generally take 6-10 business days depending on customs clearance. In Canada it may take up to 6 days to be shipped from one coast to another. Any questions contact me please. I require that you inspect your item and report and discrepancies, issues within 48 hours of receipt of such. THANK YOU FOR SHOPPING: It has been a pleasure to serve you.